The E1-1W2VD131-VD One Wire Earphone Kit for Vertex /VX230 2 Way Radios by Otto Engineering is for monitoring audio. It can be used in various environments for applications such as, hotel personnel, events coordinators, retail stores, security at airports, crowd control at conventions, concerts, and more. It features a lightweight earphone, rubber eartip, radio connector and clothing clip in a listen only earphone. Featuring a low-profile, flexible, transparent acoustic tube, built with Kevlar reinforced cables for added strength. 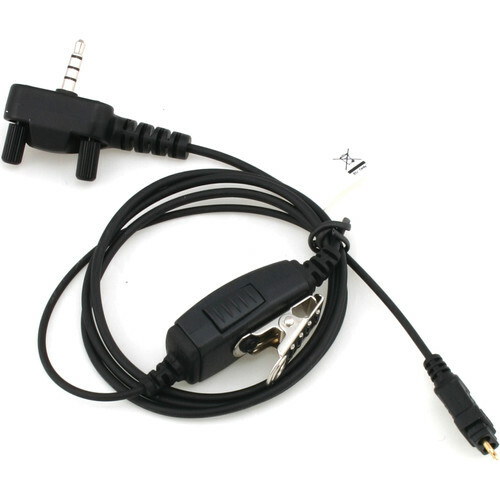 The molded 2-way radio connector cable is built of a proprietary alloy of rugged tensile strength. This kit is designed to deliver clear audio that goes unnoticed by others.